If you are reading this post, I am going to assume that you are interested in building a profitable business. While I don’t know any one who starts a business with the goal of being unsuccessful, the problem is, many aspiring entrepreneurs don’t take the time to lay a good financial foundation for their business. 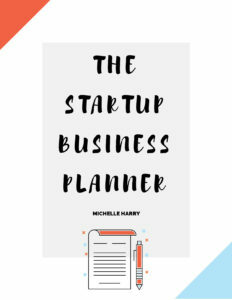 If you are thinking of starting a business, or if you’ve started one but feel you need some help with your business finances, you’ve come to the right place. I am going to show you five steps you can take if your goal is to grow a profitable business. This post contains affiliate links. Which means if you buy anything using the links I may receive a small commission. Thanks! Too many business owners start their business in the red because they spend more money than they need to. That’s why figuring out your business start-up cost is the first place to begin. Too often, I meet a lot of women who tell me they don’t have the funds they need to start their business. When I ask them how much they need, they can’t give me an a dollar amount or an estimate because they haven’t taken the time to figure it out. Knowing how much you need to start a business is the first step to funding your business. So how do you work out your start-up costs? Choose a business idea (psst… if you’re struggling to choose a business idea, I have a blog post that can help, or the first two lessons in this Free Email Course. Some questions to think about: What kind of business do you want to start? Is it an online business or a brick and mortar shop? Is it a product-based business or will you be offering a service? Which route will you take to start your business? Part time or full-time? Once you’ve chosen a business idea, ask yourself the following questions: What do I need to execute this idea? Which tools and resources do I need? Divide the tools and resources you need into three categories: essentials, non-essentials (which means useful, but not essential), shiny object syndrome. Let me show you how this works with my coaching business. These are some of my must-haves. They are the tools I need to run my business. Some of my non-essentials include scheduling tools like tailwind, boardbooster and planoly. These are useful and time-saving tools, but I don’t think they are essential especially if you’re on a budget. Shiny objects are those cool things, apps or gadgets you don’t really need but you feel you must have. Maybe because your favorite blogger uses them or you saw a list of must-have tools for girl bosses. There’s nothing wrong with buying cool stuff when your business is making enough profit or if you can comfortably afford it. But if you’re bootstrapping your business, it makes sense to focus on your essentials. Looking at my lists above, you can see that my start-up costs include one-off costs and monthly costs. Some of my monthly costs are fixed (like the hosting fees), while the others vary each month. I try to estimate and budget for those expenses (stock images, Gumroad fees etc) every month. I use MailChimp as my email service provider. It’s free up to 2000 subscribers, and they now offer free automation. There are other email service providers that come highly recommended like Convertkit and Mailerlite. You can also check them out. Once you have figured out your essentials, the next step is to find out how much they cost. Add up the amounts to get your start-up costs. It’s okay to estimate some items. The important thing is to at least have an idea of how much you need to launch your business. Note that different businesses will have different needs and start-up costs. A service-based business will have different essentials from a product-based business. After you figure out your start-up costs, you are ready for the next step. 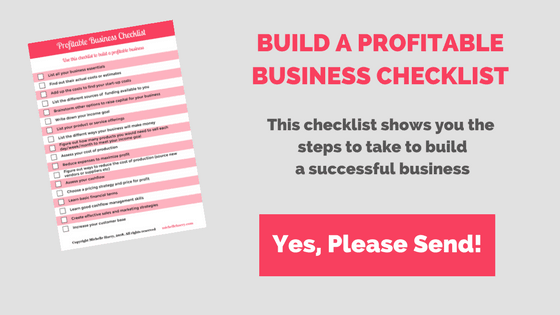 BONUS: Before we go on, I created this checklist to help you take action after reading this post. You know how much you need to start your business, the next question is where will the money come from? Lack of funding/finances is a real problem for a lot of female entrepreneurs. Many women don’t have the money to start a business, and they don’t know how or where to find the money. This is very frustrating and discouraging. Lack of funding can be a big stumbling block to your dream, but you can find ways to make things work. Which of these sources is available to you? I have always started my businesses with personal savings. I know not everyone has enough savings to start the kind of business they’d like. Sometimes you need to get a business or personal loan to get started. If you still think you lack access to funding, my advice to you is, be creative and willing to explore different options. Can you work overtime at your job to make more money? Can you sell some of your possessions? Is taking on a business partner an option for you? Can you start a business part-time or as a side hustle? These are all options you can consider. The key is to be flexible and to approach things with an open mind. A lot of businesses fail because the owner runs out of capital. That’s why it’s a good idea to know how much you have to invest in your business, and how long you can run your business before it starts generating enough revenue to cover its expenses. 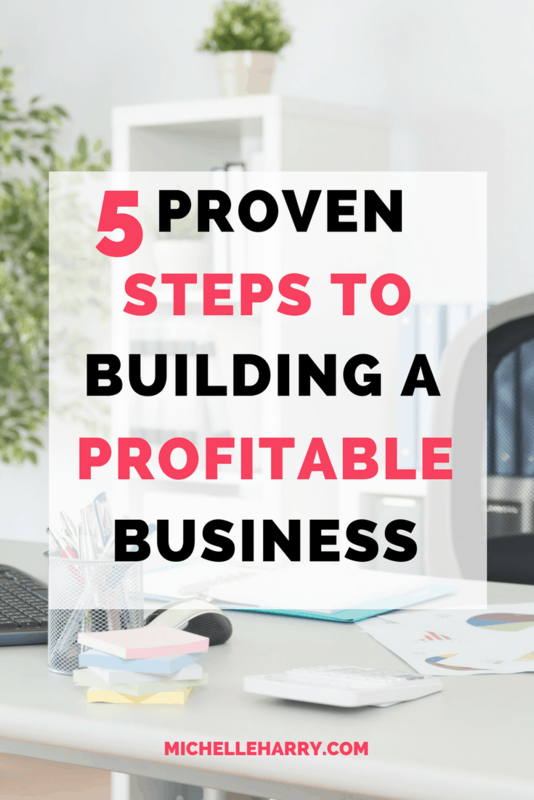 Let’s look at the next step you should take to build a profitable business. I know this one may seem obvious to you but it’s not as easy as it looks. Many years ago, I started a gift basket business without identifying my target audience or outlining how my business was going to make money. I thought I would just make the gift baskets and the buyers would come flocking in. Unfortunately, that’s not how business works. If you’re serious about growing a profitable business, then you have to be intentional and have a plan to achieve your goal. As a small business owner, your main goal is to start generating revenue as soon as possible. You want to start making enough money to cover your expenses in the shortest amount of time. Before you start your business (or if you’ve started one), take some time to outline the different ways your business will make money. What’s your income goal. How much would you like to make per week, month, or year? You can adjust this at anytime so don’t spend too much time on this step. Make sure you set a realistic goal. What will you sell or offer (list your products or services)? How many streams of income will your business have? For example, if you’re a service-based business, can you offer digital or physical products as an additional income stream? What price points will the business generate revenue and profit? Many women struggle with pricing. They are scared to charge what they are worth. Which means they end up undercutting themselves. Spend some time pricing your products or services for profit. How many products (coaching packages, digital products, services) do you need to sell each week or month to meet your income goal? Before you start your business, take some time to answer these questions so you can come up with a plan for how your business will make money. Answering these questions will help you to create marketing and sales strategies to meet your income goals. In Becoming an Entrepreneur, Jake Desylas reminds us that learning how to make a profit is one of the three main skills that’s essential to building a successful business. Every year, many small businesses fail due to lack of capital or funding. Every business needs cash flow to survive and grow. The key is to have more money coming into the business than is going out of the business. When the cost of production is higher than the revenue generated by your company, it becomes a struggle to keep running the business. That’s why having a budget and creating a spending plan are crucial to the success of your business. Reduce waste. Get rid of tools or resources you don’t use. Get rid of under-performing staff, business partners etc. Increase your prices. A small increase of 5% can do wonders for your business finances. Increase leads and conversions. Improve your ability to sell and convert prospects into paying customers. Assess your current marketing and sales strategies. Are they effective? Is the return on investment worth the cost? Get better at marketing, asking for the sale and closing the sale. Practice revenue funding. Purchase things with revenue generated from the business. Which means you don’t have to pay interests on loans. These are some of the things you can do to make profit as a new business owner or improve profit for an existing business. In addition, learn everything you can about social media marketing, email marketing, list building and content marketing. Unfortunately, I couldn’t come up with a subtitle beginning with “know,” so you are going to have to roll with this title (kidding). Anyway, you need good money management skills to build a profitable business. You don’t have to be an accountant or a finance graduate to have good money management skills. If you lack good financial management skills, then you’re going to have a hard time running your business. The good news is that you can learn the skills you need to build a profitable business. All you need to do is create a learning plan and be committed to the process. Which skills do you need to have to grow a successful business? How to price your products or services for profit. How to negotiate the best deals from suppliers, vendors, and other business partners. How to understand and manage your business cash flow. Know and understand basic financial terms. 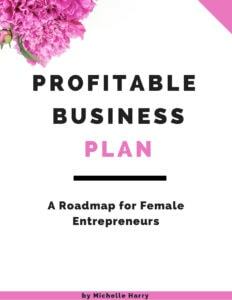 In The Female Entrepreneur Toolkit, I listed some of the important financial terms every business owner needs to know. You can grab a free copy here. How to budget and track expenses and spending. How to keep proper financial records and manage your accounts properly. I am sure I have left out a few things. But learning and mastering these skills will put you ahead of most small business owners. There are other useful skills you can learn, like how to forecast sales and cash flow so your business never runs out of money. But you gotta start from somewhere. It’s true that you can hire a bookkeeper or accountant for your business, but the more you know and understand your business finances, the better your chances of building a profitable business. Don’t ruin your business because of bad financial decisions. Starting and growing a profitable business is probably the number one goal of every entrepreneur. There are steps you can take if this is your goal. You just need to know what they are and take action. You need more than a great idea and passion to build a successful business. You need good money management skills as well as patience. It takes time to grow a successful business. Did I leave anything out? What are you doing to build a profitable business? Which of these steps resonated with you? Have your say in the comments! Like this post? Share on your favorite social media site.